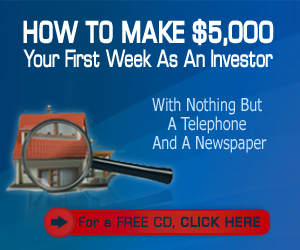 I’ve got a quick video for you to watch that shows you a new system I’ve created that allows you to hire and train someone to make seller calls for you – for $4 to $6 per hour. It is already making a huge difference in the businesses of me and my mentor students. I just released it last week – so it’s brand new on the Automarketer site. 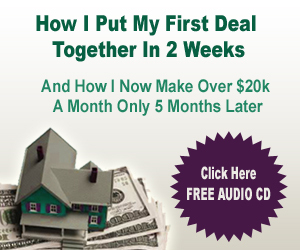 In this video, I’m going to show you how our exciting new system works which makes it possible for you to hire someone to put deals together for you cheaply and effectively. Joe: We just created a new section or a new piece to the system in the Automarketer program and I wanted to show you how it works. Joe: We created it for two different reasons. One is to make it easier for somebody who is brand new and just getting started to be able to make an offer to a seller and get it accepted, and 2) the main reason I did this was for me and my business – to make it easier for us to be able to bring someone in who’s a low level, low paid person who is a phone salesperson to be able to come in and make these offers for us or at least help us make these offers. Joe: Basically, what it does is it breaks it up into a two-step process instead of a one step process, and right now, the way I teach to my mentor students is we just go in there and then make the call and we close the deal right now. But what we’re finding is that that’s harder to teach and maybe it’ll be easier to do it with this new method. The people that we’ve been working with have been doing a great job doing it in two steps like this, so I think you’re going to like the way this is laid out. It’s actually very cool and I’m pretty proud of it. Joe: I’m going to the lead response tab. We have email campaigns, voice blast campaigns and text blast campaigns in this system, and when we send out an email – each of these lead responses and the leads will have the same thing in here for all of the leads – I’m going to go to the lead response. Joe: We have a bunch of lead responses in this particular account. This stuff is not in the training program yet. It’s going to be there in a few weeks, so we’re going to have it up there soon. As you scroll down the page here, and this has been here for a while, you’ll see all of the leads that are in this system here, and I’ll just pick this one here that I’ve already been into. Joe: You can see that if you’ve gone in here and saved something already, it changes it so you can tell whether or not the person that you have working for you has actually called these people, or if you’re doing it yourself, if you’ve called those people. This is a link to the ad, and this also tells you what type of lead it is; it’s a self-categorization system. Joe: Let me just show you what the new lead page looks like. By the way, when you have this here, this tells you what the lead said, and you can get this information about what they emailed back to you. But as you open this page up, you’re going to have some information in here. Joe: First of all, you can get the information on the lead. This is the response that they gave us. You can have multiple properties in here (I’ll show you how that works in a second) and this is a menu to navigate this form and make it easy while you’re talking to the lead on the phone so that you can make this happen and give this lead form to the person who’s making the phone calls for you and have them do it competently. 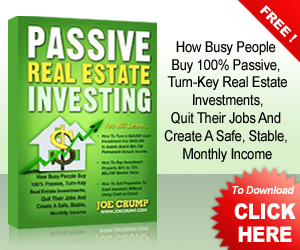 Joe: We let them reply and usually they’re going to say yes because they’re trying to sell the property. ‘Okay, thanks. It’ll just take a few minutes’. We go in here and we try to get as much information as we can. The first thing that we’re going to do is ask them for the property address, and I’m just going to put one in here so you can see what I’m doing… This is one that I know exists. You can verify it and it checks with the post office to see where it’s at and then it brings up a map so we can see where its located, and once we’ve done that, we can save the progress of this particular property and then we can get new information on this property while we’re talking to the folks. Joe: So, maybe first I want so say, ‘How much is this property worth? How much does Zillow think it’s worth?’ I can pull up Zillow’s site and it’ll give me a ‘Zesstimate‘ of $75,000 and the rent estimate of $839; it gives me a little information about the property, i.e. what size it is and all of that stuff, so that’s kind of cool. It shows you where it’s at on the map. It shows you what other properties are around it and what they’re renting for and you can get more details by looking at Zillow. Joe: You can leave that open. You can also go to Rentometer and it’ll pull up that same property on Rentometer, and you can put in here – if I wanted to get $800 a month for this particular property, I can analyze it and it can tell me whether or not that rent is reasonable. $800 looks like it might be a little bit high for that property but it shows me what else is renting around there, so based on the condition of the property, I can decide whether it makes sense. 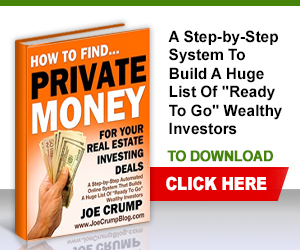 Joe: It tells me what the averages are on those properties so I have a pretty good idea of what I can rent it for, so when I talk to them about renting the property or getting a lease option buyer in there, I’ll know what that market rent is there, because market rent is so absolutely vital to that property. Joe: Now, this is not the same property as I typed in. This is the ad that was actually there that they had response, and it gives us the phone number and it lets us know if they ran more than one ad. If there’s more than one property that this particular person has run, then they’ll both come up here, or I can click on ‘View Original Ad’ and if it’s still in Craigslist, it actually take us to Craigslist and shows us that ad; sometimes they have pictures in it. So this gives us a pretty good idea of what they’re asking for and it lets us seem a little more intelligent when we’re talking to them. Joe: You can also click on Google Maps to look at a picture of the property, and here’s what that house looks like. You can get a closer version of it if you like. So you can see what the house looks like and of course you can move up and down the street on this house as well and see that it’s in a pretty decent little area. That gives you a lot of great information on that area while you’re talking to these people. 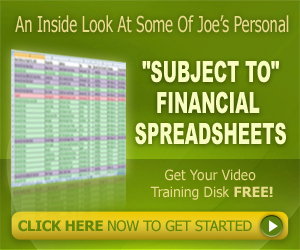 Joe: There’s also another thing that I just added called ‘selling options’. If you know what the options are for the people who are trying to sell, it makes it easier for you to make an offer, because then you can go back to them and say, ‘Well, here are your options. These are the things that you can do.’ Each one of these has an expanded explanation of how they work and you can go through them and tell them all of their options and exactly what those different options are and then let them make a decision. Joe: Also, if this particular property is where they live, you can do this ‘apply changes to the home address’ and it’ll plug it in up here if that person lives in that property, and of course you want to get the rest of their information. This is the Craigslist anonymized email address. You want to try to get their real email address as well. Joe: And, of course, you save the progress as you go along. Then, you start asking them these questions about their property. You’ve already asked them permission to do it and they’ve given you permission, so you ask them ‘How much do you want for it?’ ‘How much do you think it’s worth?’ ‘How did you come up with the price?’ etc. All of these questions are really important for us to be able to understand the motivation factor and what type of offer we can make. We ask them how much they owe on the property, what their payments are, why they’re selling, why they’re moving, all of this stuff that’ll tell us whether or not to make that offer. Joe: I’m going to create a whole training program on how to use this and how to talk to these people that’s going to go inside the Automarketer to help you through the process and also so that you can give it to the person that you hire. I’ve got people that are hiring people for $4 to $6 an hour to make these calls for them. Joe: You have to hire more than one person to make this work because it may be up to 5 people before you finally find one that actually will do the work the way that you need it to be done and will follow through the way they promise, and once you find that person, you can hold onto them for a long time and continue to hire new people and expand into new areas. Joe: You can do this from anywhere. The people that we have calling for us? – We have one person who’s in Pennsylvania, one person who’s in the Philippines, one person who’s in Jamaica, so we have people that are all over the place doing this for us. Joe: And then you can get all of this other information and it gives you more dialogue on how to handle this as well. You just walk through this; it’s not very difficult. You can get information about the house which you might have already gotten on Zillow and then you can plug that in. 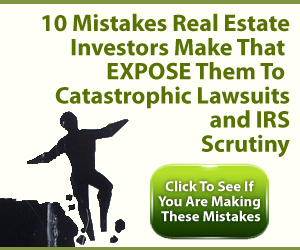 And then once you have this, you can save the progress and you can either open up a new property if they’ve got more than one (because a lot of times we run into investors who have multiple properties) and if we go to the top of the page you can get those properties here and zoom between properties. Joe: Once you get the information that you need, you can change the way it’s in our autoresponder which means the series of emails that they get is going to be different depending on whether they said yes, no or yes and a phone number. Then once everything is said and done, you can save this data and you can email all of this data to the account holder, which is you, the investor, so if you’re having somebody making these calls you can have it set up so that it’s going to email you the data, then you can forward it to anybody you like. If we do this in a two-step process, the way it’s designed is you’ve got the lower level skilled person asking these questions and then once you get all of the information, they email it to you and then you call the seller back and you get a lease option memo signed and put together. Joe: So that’s a really quick review of what this thing is. It does quite a bit more than what we’re talking about here, but it’s extremely cool, and right now, it’s making a difference in the leads that we’re getting from the people that are working with us, and its making them competent. It’s giving them information and of course, the more they do it, the better they get at it. Joe: Let’s scroll down to that real quick. When you have that, you can pick a date and then pick a time. Let’s say 9:30. You can plug that in there and then you put the phone number to call and if they say no, then you’ve got another dialogue to deal with to keep the process going if you can. Joe: So that’s the brand new thing. I’m going to be expanding on this, but I just wanted to get it out there so you can see that it’s available. For those of you who are already using the Automarketer, you want to start using this because it’s really going to help you get those leads converted at a lot higher conversion level, and for those of you who have been using it for a while, it’s going to change the game dramatically when you start hiring people to do this work for you and you use the two step process. Joe: Anyway, that’s it for now, and I’ll get more and I’ll be putting more training in the training program of the Automarketer soon. Alright, thanks. Bye, bye. I have really enjoyed your video’s. Thank you for sharing all the information. The Automarketer seems really impressive, and a good tool. 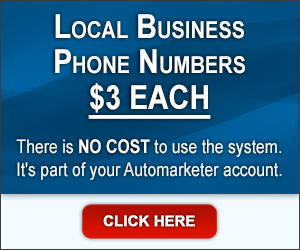 I understand that the autodialer,and call time is set up with additional payments each month depending on minutes, and number of phone lines used. Is there any additional fees needed to use the other portion of the auto system? Rentometer, and the other tabs that you can utilize? Thank you for your time and consideration. You will probably want to buy your own domain names. They cost $10 each per year. Other than that, it’s just the phone minutes and the phone numbers you have to pay for and you get $20 a month in phone credits each month to spend. If you go over that, you have to enter your cc to pay for it. Most people find that $20 is sufficient for one city. Good luck to you. Im getting ready to sign up for the $199 /mo push button system but had a couple questions. I don’t think you should worry about competition. If you do, you might as well not ever get started. 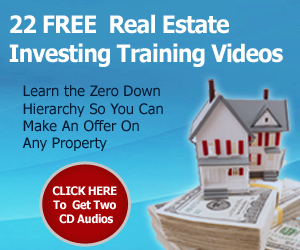 There are thousands of real estate agents in your area – and they all compete with you and with each other. If there is no competition, you don’t have a viable market. There are so many ways to use my system that you can differentiate yourself from the others – that is the beauty of what this program is. I have been following your videos and I’m quite Impressed with your systems. I’m seriously considering signing up. 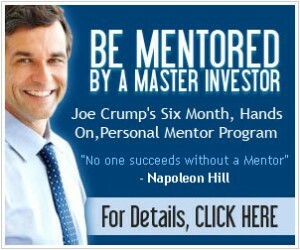 My question is this: Is the “Pushbutton” system a part of your “6 Month Mentor Program”? In other words if I bought the Pushbutton program then later wanted to pursue the Mentor Program would it be a duplication of the materials purchased? Thanks again for all your free info and videos. The http://www.PushButtonMethod.com is included with the mentor program if you haven’t purchased it yet. We don’t give a credit for it if you have already bought it. The http://www.PushButtonAutomarketer.com is NOT included with the mentor program. It is your business infrastructure, websites, lead generating process, etc. Instead of buying the http://www.PushButtonMethod.com – if you aren’t getting into the mentor program, buy the 6 month version of http://www.PushButtonAutomarketer.com instead. 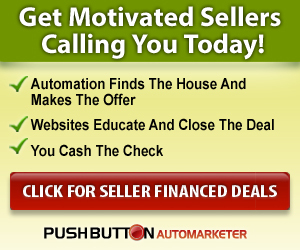 That way you will get the http://www.PushButtonMethod.com free as a bonus and a free month of the Automarketer. Here is the Mentor program site.